Robert Lee Jones, age 74, resident of Moscow, Tennessee and husband of Faye Jones, departed this life Wednesday evening, March 20, 2019 at his residence. Funeral Services with Military Honors for Mr. Jones were held at 11:30 A.M. Monday, March 25, 2019 at the Peebles Main Funeral Chapel in Somerville with Bro. Jack Gresham, pastor of Macon First Baptist Church, officiating. Interment was in the West Tennessee State Veterans Cemetery in Memphis. Arrangements were provided by Peebles Fayette County Funeral Homes & Cremation Center – Main Chapel in Somerville. Robert was born November 10, 1944 in Shreveport, Louisiana. He received his education in Arkadelphia, Arkansas and proudly served his country in the United States Army, having received a Purple Heart medal. He owned his own roofing business, Robert Jones Roofing, and was married March 23, 1982 to the former Florence “Faye” Thompson. Robert was a member of Oak Grove Baptist Church in Tyler, Texas and was also a Master of the Masonic Lodge and Shriner’s in earlier years. 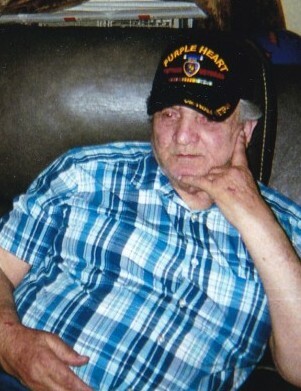 He enjoyed fishing, going on vacations and special times with his grandchildren. Mr. Jones is survived by his wife, Faye Jones of Moscow, TN; three stepchildren, Deborah Waldrop (Grady) of Ashland, MS, Jerry Lung (Roger) of Memphis, TN, Carrie McClain (Robert) of New Mexico; one sister, one brother, thirteen grandchildren and a host of great-grandchildren and great-great-grandchildren. He was preceded in death by his mother, Alice Preze Jones and his stepson, J.W. Allen, Jr.
Those honors to serve as pallbearers were Jimmy Allen, Joseph Allen, Chris Hempel, Bobby Parmely, Robert Parmely and J.W. Allen, Sr.